It’s a crazy thought we know, but now science backs up what Marines have known for the longest time. The Marines who are PT studs, but have bad attitudes in garrison, rarely shave and have crappy cammies are usually the best warriors according to a new study done by the School of Kombat Advanced Tactics and Evasion (S.K.A.T.E). 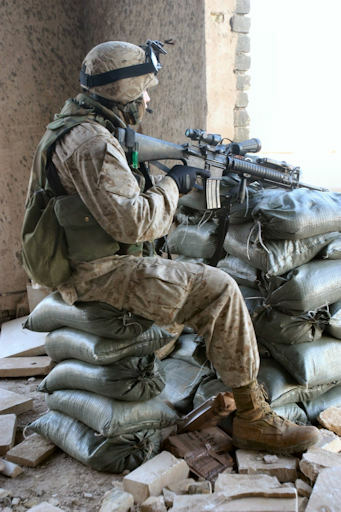 The study found a high number of valor awards were earned by Marines who had a first class PFT, shot expert on the rifle range, received multiple negative counselings or a solid Non-Judicial Punishment. These findings come as a shock to upper echelon officers who for years have refuted the wisdom of Murphy’s Laws of Combat. The laws state that no inspection ready unit will ever pass combat, and no combat ready unit will ever pass inspection. This…wisdom handed down by the warrior elders and keepers of Marine Corps Lore, had been largely ignored post-Vietnam up until the Global War on Terror kicked off. Suddenly commands found themselves with a bunch of self-described sh--bags, who wanted to do nothing more than go to a different land and kill anyone who threatened America. They didn’t want to sew up their cammies or get fresh haircuts, they just wanted to kill. One officer spoke out anonymously in disgust. The researchers at S.K.A.T.E feel that their work has merit in vindicating the many Lance Corporals and Corporals who were passed over for promotion due to trivial bulls--t, despite stacking bodies while in country. Thanks goes out to Bruce Cowee and Nick Kosturos.